As we kicked off Q2 we continue to see US markets move higher and metals move sideways. The US Dollar is grinding higher and yields bounced but overall many sectors remain range bound. Please everyone keep in touch by emailing me at Fleck@kereport.com. I love hearing what you think of any companies we have on the site or that you are invested in. Segment 1 – Jesse Felder, Founder of The Felder Report shares his thoughts on the US markets ability to keep moving higher. We then get into the US/China trade war and what he thinks is really at play. Segment 2 – Josef Schachter, Founder of The Schachter Energy Report outlines the pullback he is expecting for the oil price. We also discuss the upcoming Alberta election and how that could impact Canadian stocks and the overall sector. Segment 3 – Brett Heath, President and CEO of Metalla Royalty and Streaming (TSX.V:MTA & OTCQB:MTAFF) provides some more details on a recent transaction with Alamos Gold. Metalla picked up 18 royalties for US$8.5 million in shares. Click here to read the full news release. Segment 4 – Joe Mazumdar, Editor of Exploration Insights discusses the financing environment for metals companies and shares a couple companies he likes right now. Ditto. Thanks Cory & Big Al and all the KER contributors for all the great insights. Until the Great Reset I fully believe we are in a pretend and extend mode of Japan-style money printing. Money and liquidity will not be a problem…..until it is. Then comes the The Great Reset. 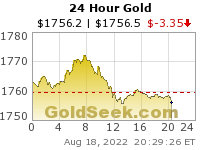 I would speculate that will come ,thanks to the BIS , after major market drops WORLDWIDE and involve not only SDRs but also Gold. No longer will any one country be granted the status of having a reserve currency. Personally I’m more interested in Platinum pricing over Palladium moving forward, as a reversion to the mean in Platinum pricing, in relation to Palladium and Gold pricing, seems quite likely over the next year or two. Platinum and Palladium are mostly a forgotten about space to resource investors, where only minimal money flows into it could really move the needle in many of these thinly traded stocks. Look what happened to North American Palladium when Pd went on its run. Hmm that link didn’t work. Let me try it again showing the move that (PDL) North American Palladium made when Palladium started to make it’s run. One company in the Platinum & Palladium space that I’m acquiring is (PGE) (PGEZF) Group Ten Metals. Then their other PGM property Kluane is adjacent to (WG) Nickel Creek Platinum, has future upside as well. They have a new Gold property as well, but I haven’t dug in on that asset yet. Another positive for (PGE) Group Ten Metals is because Greg Johnson is at the helm, just like he is over at $MMG Metallic Mineral. Both Group Ten and Metallic Minerals are part of the Metallic Minerals Group of companies. I’ve also got a small position in Jubilee Metals Group (JLP.L) (JUBPF) because I like what they are doing currently with the #Platinum & #Chrome recoveries from tailings, and see it as duplicatable with other tailings projects. In addition, their old flagship Tjate is judged to be one of the worlds largest undeveloped blocks of PGMs out there, that most of the market has completely forgotten about. Eventually other companies are going to go shopping for an asset like that. 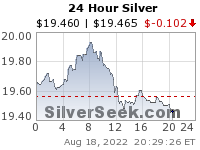 DITTO………….on the ……..more interested in PLATINUM….bottom is and was in …on platinum in the $750 range. The ratio on gold to platinum has changed…from 1.54….to 1.44….the turn is in. Right back at you sir. Cheers CFS! “Copper producers must collectively raise their game to improve the metal’s ethical and green credentials as ageing mines require more water and energy to produce the same amount of metal,” one of BHP’s most senior executives said on Friday. (KRI) Khan Resources was the preeminent Uranium explorer & developer in #Mongolia during the last cycle. They put out an impressive Feasibility Study, but in (2009-2010) the Mongolian government decided to try and nationalize their assets and wanted 51% of the deposit, and eventually would not renew their licenses. It sat dead in the water and stalled until 2015 where they won a judgement from the Mongolian government, but then had challenges collecting. There were folks talking about how great they felt Mongolia was going to be as an emerging jurisdiction over at ceo a year or so back, and I warned them it had already had a checkered past with just this example of Khan. The shrugged it off as irrelevant. Now Mongolia is playing the same games with Rio Tinto and by default Turquoise Hill, where they want to grab more of the stake from the companies that invested there and did all the heavy lifting. There are so many other jurisdictions I’d choose before Mongolia. Yes, their insitu method is far less invasive, and I was thinking that same thing when reading over comments from BHP. The only challenge is really producing copy at a large scale, which can’t be done with insitu methods. In addition most other deposits are not porous enough for that mining method to be valuable. I believe Taseko is the only other copper miner trying it. 2:14 Are we in a resource bull market? 4:29 Other than copper, what is your favorite EV metal and why? 16:25 What do you look for now in a late-stage development play in light of the coming divestiture of properties as a result of the mega-mergers? 19:45 What was your biggest winner and loser in the past year? 23:55 What are your thoughts on artificial intelligence in mineral exploration? 34:57 In what ways might the retail mining investor have an investing advantage over the professionals? Agreed about ANX continuing to put out press release after press release with great drill results or production results beating guidance, and few investors seem to notice. It won’t stay that way and eventually when more analysts and institutional investors come into the space, companies like Anaconda will get properly rerated, and many of the junk exploration hype narrative stocks will go the way of the dodo. I’m happy to keep building my Anaconda position over time, and had a good swing trade in early 2017, and trimmed back a bit more on a move higher in early 2018 during the Q1 Run. So far I’ve had a positive experience with them, except for when I bought Maritime Resources thinking they were going to merge with Anaconda, and got thrashed on that trade. Currently my position in Anaconda is much smaller than it was 2 years ago, but I’m going to adding a bit more soon as I still believe they have a bright future, and am impressed with how they have continually delivered on their guidance and strategy. Unfortunately there aren’t many mining companies that are reliable and accountable, so it is a rarity when a company and management team delivers consistently. ANX is such a great story. And it keeps getting better and better. Waiting for them to announce their next acquisition. Seems like it should be coming soon since they have recovered from the Maritime debacle. Metalla’s stock is doing very well. Thanks for following them. I bought a while back. Yes,I unfortunately have only watched it move but never pulled the trigger as of yet…regrets I’ve had a not a few but many. Yikes! I meant to say “it really isn’t a binary decision”! I’m not sure about Metallica Resources 🙂 , but personally my preference would be Metalla Resources over Goldcorp for longer term value and growth from streaming and royalties over a bloated juggernaut. Regardless, Goldcorp is currently being taken over by Newmont, so it’s going to the dustbin of history anyway….